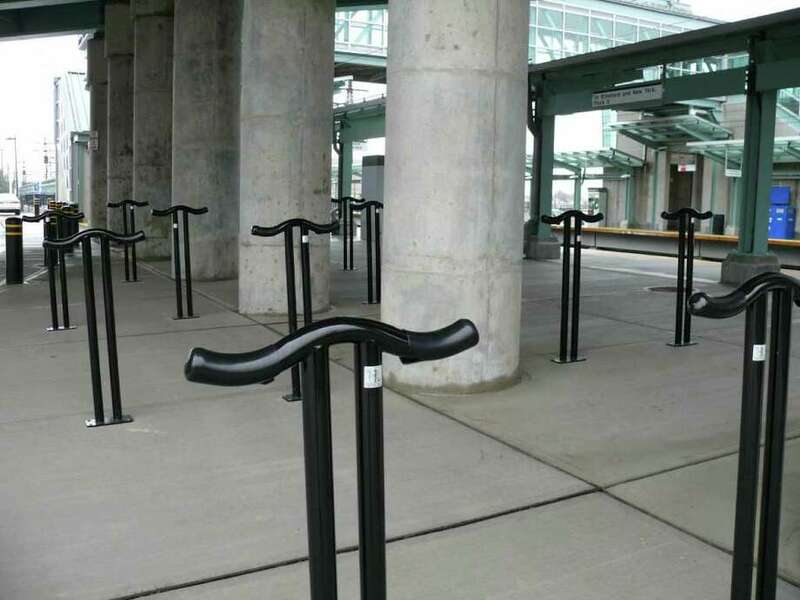 Bike racks were installed at the Fairfield Metro train Wednesday. The bulk are located on the New York side of the station, protected from the elements under the bridge overpass. There still are no public bathrooms, but one amenity missing Monday when the Fairfield Metro railroad station opened was rolled out Wednesday morning. Bicycle racks for commuters are now available on both sides of the train station, although most of them are on the New York-bound side, underneath the bridge overpass. They don't resemble the bike racks at the town's other two stations, however. The T-shaped racks are designed so that the bike is draped over the top of the rack. So bicyclists may have a little difficulty spotting the new racks at first. Based on a quick check of the depot on Wednesday afternoon, the three bikes parked at the station all were chained to railings on the New Haven-bound side of the tracks.